The structural, microstructural, electrical and broadband dielectric properties of (1 − x)MgTiO3 − xBa0.5Sr0.5TiO3 (for x = 0.1 to 0.5) composite ceramics has been reported. Conventional solid state reaction method is followed for preparation of the powder and maximum densification is optimized at different sintering temperatures (1250 to 1400 °C). The structural studies revealed presence of both MTO and BST phases independently. The cryogenic dielectric response was studied over a broadband frequency range. The composite ceramics have exhibited diffused transition as a typical signature of relaxor ferroelectrics with temperature. Modified Curie–Weiss law is implemented and calculated the diffuseness constant to probe the relaxor behavior of the ceramics. The Impedance analysis in complex plane showed non-Debye type relaxation behavior. Correlated barrier hopping mechanism is found to be responsible for conduction process at higher frequency region in AC-conductivity analysis. The thermal stability of capacitance over the temperature range of (RT) − 30 to + 85 °C determined and found to be ~ − 54%. The 0.7 MTO—0.3 BST ceramic composite sintered at a temperature (Ts) of 1350 °C is optimized as the best composition with the highest values of relative density (~ 97%), high dielectric permittivity εr ~ 57 and quality factor, Q × f0 = 19,30 GHz at 4.16 GHz. 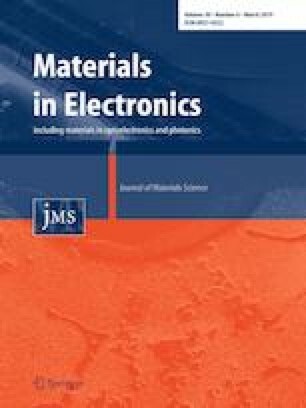 The obtained properties of the composite ceramics is promising for type -II capacitors in integrated circuits of de-couplers and filters. The authors acknowledge the financial support and facilities provided by DAE BRNS [37 (1)/14/33/2015/BRNS].The authors acknowledge Central Instruments facility, IIT Guwahati, for providing Raman Spectroscopy, FESEM and RF Impedance analyzer system. The authors also acknowledge, Centre for Nanotechnology, IIT Guwahati, for FESEM images.SR would like to acknowledge Gohonzon and family for constant support throughout the work.